Technical Chemical Company (TCC) produces and markets the Johnsen’s brand of products. Whether you are looking for aerosol cleaners, degreasers, refrigerants, or functional products, Johnsen’s has been a trusted name since 1928. TCC offers a full line of aerosol products, including brake cleaner, carb & choke cleaner, degreasers, penetrating oils, and chain lubes, as well as functional products, such as power steering fluids and brake fluids. Contact us today about the Johnsen’s product that is right for you. It took them 40 attempts to get their water displacing formula to work, but on the 40th attempt, they got it right in a big way… and WD-40 was born. 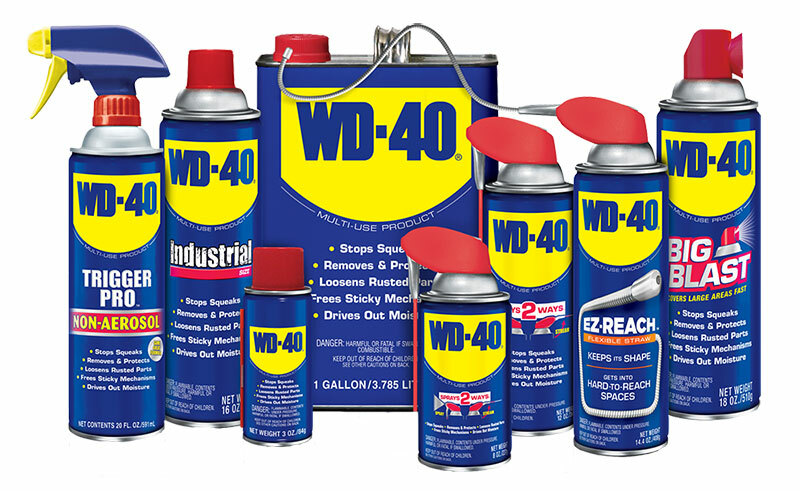 WD-40 stands for Water Displacement, 40th formula. That’s the name straight out of the lab book used by the chemist who developed the product. Since that time, the WD-40 Company has developed an extensive line of products to include the original WD-40 Multi-Use Product, WD-40 Specialist, and many other product lines. Contact us today about the WD-40 product that is right for you. When the temperature rises, your A/C needs refrigerant in it to keep it operating at max potential. If you need 134a refrigerant for automotive applications or an industrial refrigerant for large units, we can help. Whether you’re a do-it-yourselfer or an installer needing refrigerants for your customers, we can help. Contact us today for all your automotive and industrial refrigerant needs.